Bluehaven Thongs provide the feet with much needed arch support, while still maintaining a fashionable appearance. When feet are aligned to the correct position, wear and tear to other parts of the body such as knees, hips and back is significantly reduced. 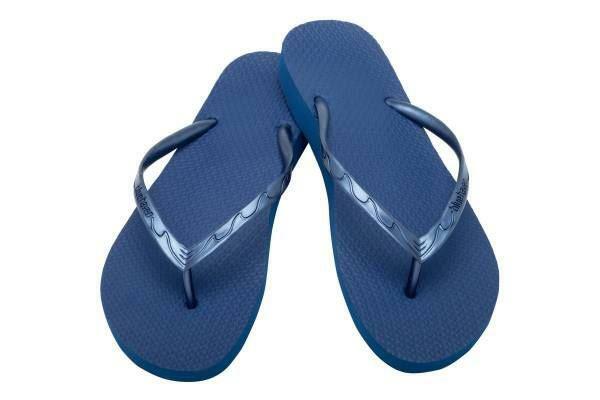 Regular flat, foam thongs can leave the feet, calves and ankles quite sore after long periods, whereas the Bluehaven thongs feature a moulded, 3 degree arch support which may result in a reduction in pronation (flattening foot arches), as well as a reduction in heel and ankle pain and allow for prolonged wear, without the risk of injury. Bluehaven thongs are made from ultra-soft yet incredibly durable high-quality materials and are available in a range of colours and sizes for both men and women. Bluehaven thongs can be purchased from any of Core Physio’s 11 Adelaide locations.